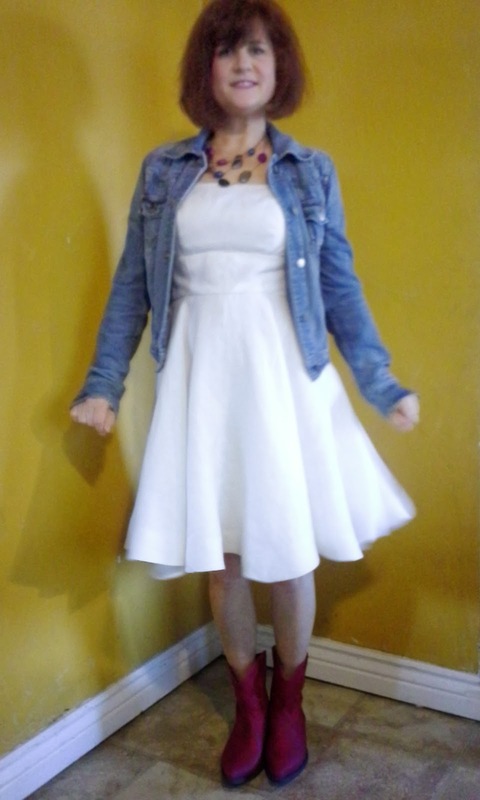 Those who have been reading my blog are aware of the Little White Dress that I made for a contest on Pattern Review. I made the dress using couture techniques that were taught by Susan Khalje in her Craftsy class The Couture Dress. This was the first class that I bought that was over a year ago. I was so excited to make the dress. It came with a pattern, Vogue 8648. I don't think I would have bought the pattern if it weren't for the class. The way the dress was drawn didn't pique my interest right away. Actually, most of the patterns I like most don't have artwork that makes me want the pattern. Vogue 8648 was include in the class. It took a week or two to get the pattern. I continued to watch the class while waiting for the pattern. I was trying to decide what view and what fabric. I didn't have a need, so it ended up waiting. 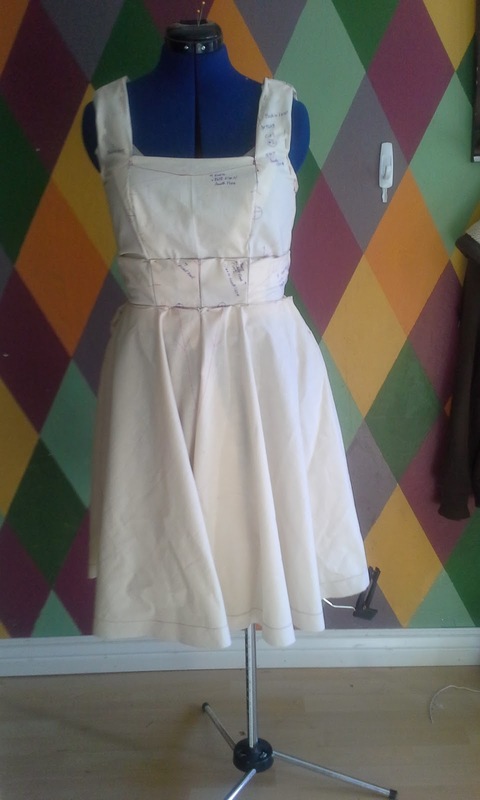 I kept the pattern where I could see it and finally I had a reason to make the dress--the Little White Dress Contest! I didn't enter the contest to win. I don't think many of those who enter are expecting to win, but instead do like I did and used it as inspiration. The contest required a classic dress that could be styled up or down and last many seasons. This pattern was an obvious choice. I would finally get to use the pattern. Susan Khalje has a wonderful reputation and she earns it. She teaches the class like you are the only student. While I never asked any questions, those who did received excellent responses. The class is long. It needs to be to cover what is covered. It does not go into fitting. 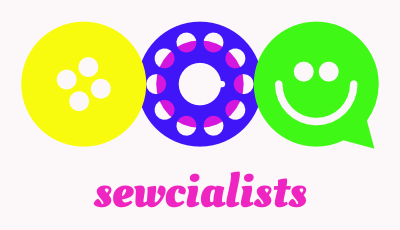 But it does go into fabric choices, interlining choices, and lining choices. She teaches a very in depth method of muslin making and marking, how to mark the underlining and basting the underlining and fabric. Hand sewing is very time consuming and she explains how to do all of it for basting the dress, catch stitching seam allowances, zipper insertion, hemming and lining insertion. I'm sure there is more, but the class is so extensive. One complaint I have read is that the class is so long. Another is that she makes a dress that many aren't making. Both of these could be valid, I personally enjoyed the details. Ms. Khalje was making a beautiful green wool plaid dress for her daughter. The design modifications and plaid/pattern matching packed more information into the class. I have watched the class many times, especially areas that I wanted more detail. I believe that I will watch it more in the future. What I learned has carried over into other project than in the dress and other non-couture projects before I actually sewed the dress. 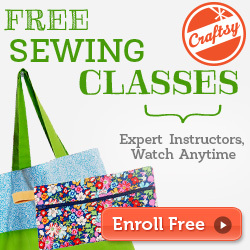 I would recommend this class to those who would like to take their sewing up a couple of levels. My only complaint about the class is that I now want to take her workshops more than I ever. I have her class but have yet to make the dress. Sometimes I just watch it in awe of all the care and techniques. Your post has motivated me to bump it up in the que! Sharma, I encourage you to make the dress and rewatch the class as you do. It was very rewarding. That should be Shawnta. I'm so sorry. I was using my Kindle Fire and it likes to change my words. 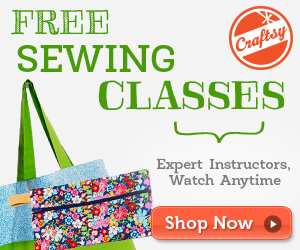 I have this Craftsy class but am working my way through another one at the moment. This makes me want to start tonite! Lovely dress and helpful review. Thanks Annie. I have a couple others that I have collected. I get stuck in which to plan next.